Last month, I went to the Digital 5 (D5) summit in South Korea as part of the UK delegation. The D5 summit is a network founded by leaders and pioneers of digital government. It gives us the chance to learn, share and set standards with like-minded colleagues from across the world. One theme we examined at this event was how digital governments can ensure their workforce has the skills and knowledge they need to design, build and maintain the best digital services for the public. 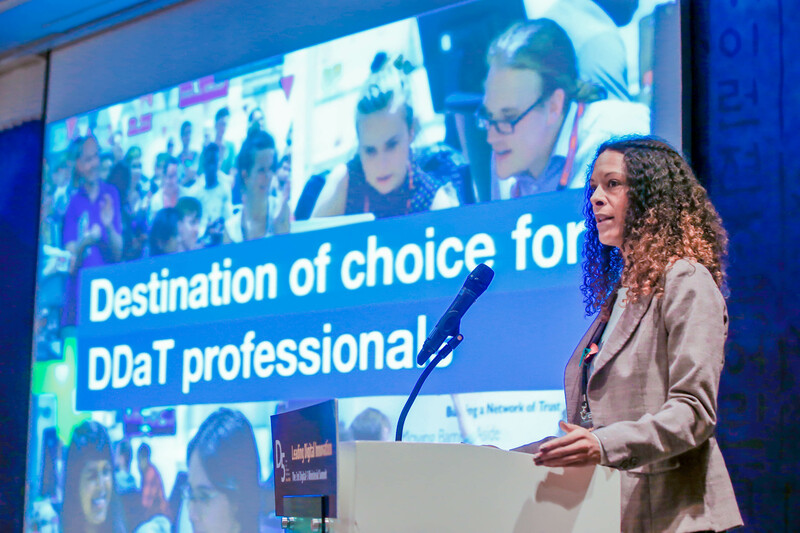 I was there to run a workshop that would help to establish the D5 Digital, data and technology (DDaT) Executive Education programme for the D5 countries: Estonia, Israel, New Zealand, South Korea and the United Kingdom. As the Learning and Development (L&D) Lead for the DDaT profession team in the UK government, my role is all about working across the Civil Service in order to raise DDaT proficiency. In the session I facilitated delegates shared their progress around Executive Development for their country, drawing from their experiences to contribute to the shaping of a D5 Executive Education programme for senior civil servants. We discussed the components that should be included within a development programme. We established that factors like self assessment, project-based work and learning modules would all be important. We agreed that with the UK taking the lead on this, details of the programme including course content and criteria will be outlined in 2017. We will work in collaboration with the other D5 countries to finalise this. The programme will provide opportunities for Civil Service leaders to connect with colleagues internationally so that they can learn and develop together and pick up information that they would not have access to in their own country. These interactions will increase opportunities for sharing and collaboration and we anticipate that we will establish new ways of working and thought leadership. The outcomes we established were presented to the ministerial delegations the day after the workshop; the UK minister Chris Skidmore and National Technology Advisor for Cabinet Office Liam Maxwell were present. Running this initiative on behalf of the D5 network, the UK government will run a pilot D5 Executive Education programme for a select group of senior civil servants who make up the workforce of the D5 countries. This work will be grounded in the very first of the GDS design principles: users first. We want this programme to be used internationally. Reusing ideas and methodologies from other governments means we can learn from each other’s experiments and take advantage of a wider pool of user research. Working with D5 gives us the perfect platform to establish this collaboration. If you’re interested in following our progress or you’d like more information, please contact Leanna Jones, Learning and Development Lead, digital, data and technology profession team.